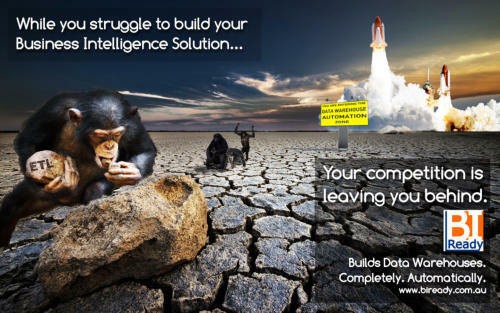 ETL poses the biggest risk for any Business Intelligence project. In fact, Gartner has identified that 76% of the budget of any BI project is sunk in the crucial data preparation stage. In this short, one-hour presentation, we will explain and prove the value of Data Warehouse Automation software over traditional ETL tools for the development of data warehouses. According to Gartner, around 80% of BI projects fail, and our findings show that ETL is a major contributor to that statistic. Come and hear why. We will show how BIReady does just that - gets your data ready for Business Intelligence - in a fraction of the time and cost of any other method using traditional ETL tools. Complete the form below to register.